The short lifespan of your $170 airpods. AirPods are starting to show their age for early adopters,” Zac Hall, an editor at 9to5Mac, wrote in a post in January, detailing how he frequently hears a low-battery warning in his AirPods now. Earlier this month, Apple Insider tested a pair of AirPods purchased in 2016 against a pair from 2018, and found that the older pair died after two hours and 16 minutes. “That’s less than half the stated battery life for a new pair,” the writer William Gallagher concluded. Yup, beyond the need to constantly carry a charger for the little easily lost buggers, there is their terribly short, and expensive lifespan. But hey, what choice do you have? No wired jack... oh well. Yeah, well the upside is no "entangled-in-wires-again rage". For talking (or listening to news or a podcast) I use a single earbud. For listening to music I have yet to find the wireless both ear setup that works for me. I've tried several and so far they all have "issues". I may end up with some big old on-ear or over-ear headphones. Enjoy your $170 dollar entanglement freedom. Me, different wired headphones and earbuds for different reasons... all totalling perhaps no more than $120. I tend to run the wire inside my shirt to avoid entanglements. And I love the ability to jack into any aux port on any of my music amps. And, heck, I STILL have the option to go wireless too. Yup, I have OPTIONS. I tried for years to find wireless headphones I could use for watching TV and movies. I can't believe how many different wireless setups I've tried that failed miserably, in one way or other. Bad reception, bad sound quality, dying batteries. Never found a set I was happy with, and this is in a fairly non-demanding indoor environment with unlimited power outlets. I always go back to the wired headphones. Battery life seems to be the biggest problem yet to be overcome. 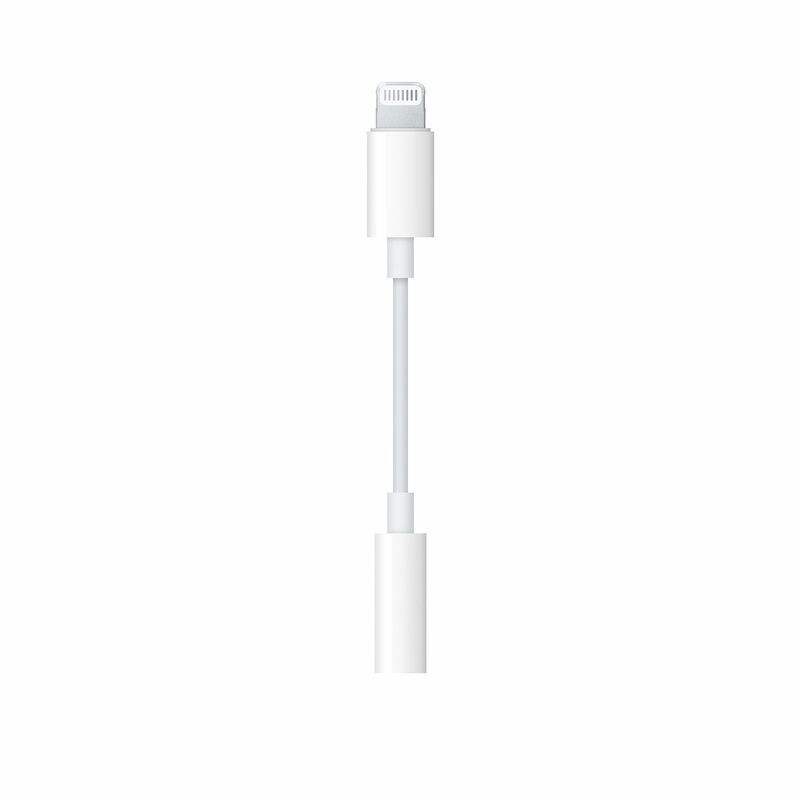 And you still have the option not to buy devices that lack a 3.5mm audio jack. Why the constant whinging about the poor design of devices that you don't have to use? Why the constant whinging about the poor design of devices that you don't have to use? i’ve learned to not feel responsible for the happiness of chronic complainers....especially on the net. "Optimists see: A glass half full. Pessimists see: A glass half empty. Chronic complainers see: A glass of water that isn't cold enough, probably because it's tap water when I asked for bottled water and wait, there's a smudge on the rim, too, which means the glass wasn't cleaned properly and now I'll probably end up with some kind of virus. Why do these things always happen to me?!" Because there is a general trend to remove such 3.5mm jacks in future products as exemplified by the latest Apple and Samsung devices. The ability to go wireless was always an option, but the ability to go wired is being phased out... and consumers are blindly accepting this reduced set of options as a "good thing." Sure, today I can buy almost the latest tech, still with 3.5mm jacks... but not the latest tech. I have an $8 pair of wireless earbuds, the kind with a wire between the two of them but not to the phone. My last phone couldn't keep up with ones with no wire, they'd stutter. I definitely enjoy these a lot more than fully wired ones. My el cheapo BT earbuds have slightly better audio quality than my wired ones. However, winter is basically over...so I'm now using the wired--easier to mute the ads (spotify, pandora, etc) while walking the hounds. As long as there are fans of the headphone jack, there will be offerings with it. Those are the folks whose phones I will consider. Samsung still has a plug .. The choice we have is to continue to buy devices with 3.5mm jacks. There are literally over a billion smartphones in existence with 3.5mm jacks. im still mad they switch from round charge connectors to mini Usb. hate fiddling with the orientation. the old round connectors on my Nokia was so easy! But they all come with disc brakes. LOL. Are you still on that? That loss of 3.5 jack really bothers you doesn't it? Personally, I don't even have any wired earphones. Airpods or Bose QC35 for me, this being 2019 and all. Ready to buy new pods... as their tiny batteries die? 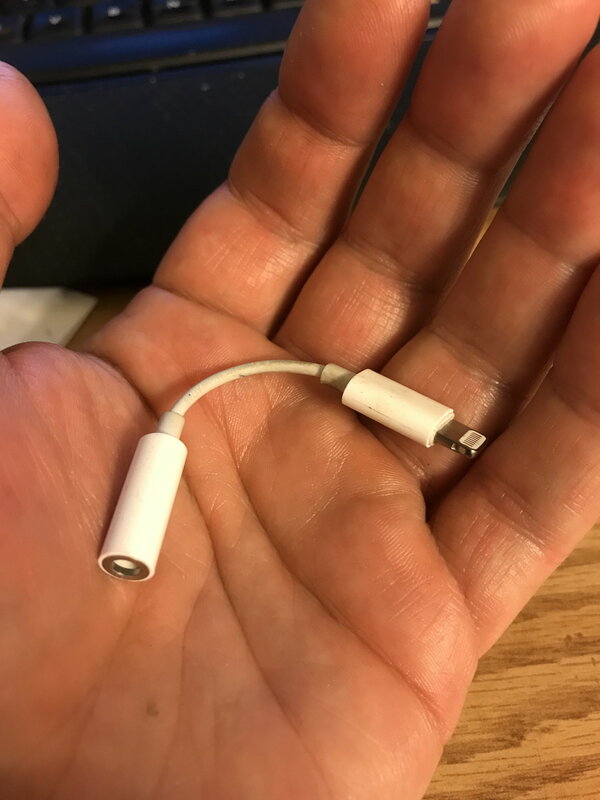 My most recent iPhone came with this cable, to allow for plug in headphones. 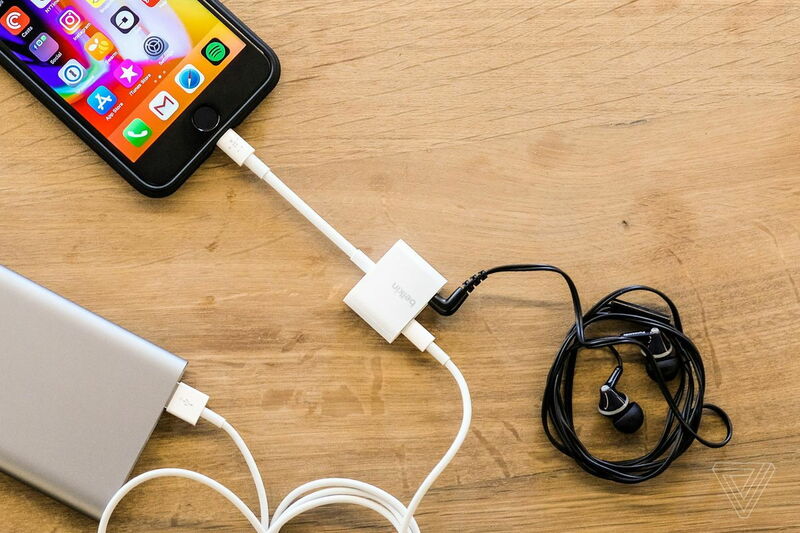 You can also get "split" cables that have an end for charging and an end for headphones. Am I missing something? The one I posted (and I think the one in your hand), the Apple adaptor/DAC, gets horrendously bad reviews. Hopefully there is a better third-party option! One downside to wireless headphones is you can't use them to strangle a coworker. Did I mention I'm working from home now? weird. i haven't had any issues with the tiny cable, and i've used it in fairly rough conditions. I'm still on my very first cellphone -- iPhone SE. I got 128GB for $275 from Virgin, so it was cheaper than the corresponding iPod touch. I'll run this into the ground before I ever think about replacing it. I thought twice about my double entendre.